Whether you’re running a small business from the kitchen table, or you’re deciding how best to invest your multimillion dollar cash-flow from the past year, saving time and money is always a plus. In order to save money and operate more efficiently, you need to not only know where your money is going, but how today’s financial picture compares to the needs of tomorrow. 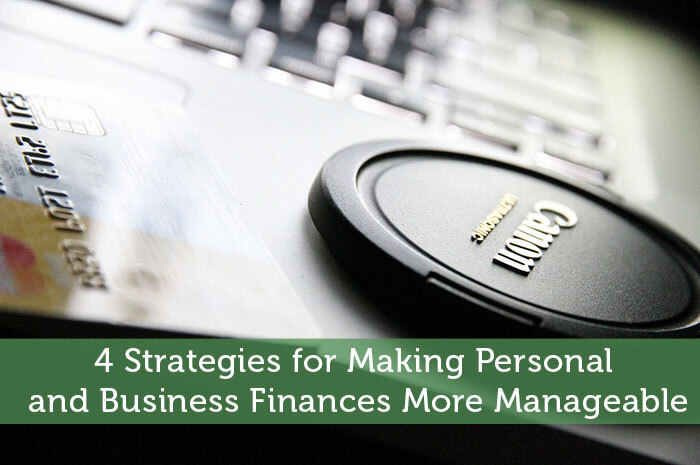 If you’re self-employed, or you’re a high net-worth individual, financial management software can make staying ahead of your finances a lot easier. Having a reliable picture of where your money has been spent over the past fiscal period allows you to build a more effective plan for the future. Software like Quickbooks allows you to categorize past expenditures and analyze cash-flow in real-time. Some software will even enable you to pay your bills without leaving the program. This is especially convenient if you usually set aside time every few weeks to write out checks and post them in the mail. Ordering a set of cheques that can be printed via Quickbooks, using your inkjet or laser printer at home, can mean paying all of your bills with a couple keystrokes. If you’re anything like me, you use your computer less and less, while your smartphone is almost superglued to the palm of your hand. Financial software has adapted to this reality by offering cloud-based solutions that sync your financial picture across multiple devices. Whether it’s checking your account balance to see if you can really afford that shiny new jacket that’s “on sale this week only”, or making sure your bills were paid on time during your lunch-break, iPhone and Android apps make staying on track financially a lot easier. If you run your own business, the ability to access your financials from a mobile platform is an indispensable competitive advantage. With all of the great tax advantages available to those that are self-employed, never miss a deduction because of a lost receipt again! Simply user your smartphone’s camera to scan receipts and keep track of business expenses. Are you paying yourself first? You can have all the great financial tools and technology available to you, but if you aren’t saving, you’re only digging yourself a deeper and deeper hole. Most financial professionals recommend saving at least 10% of your income. Whether that’s a 401(k) or a savings account, making savings automatic is an important step towards achieving financial independence. For me, to make saving easy, every time I receive a paycheck or payment for my consulting services, I immediately transfer 10% to my savings account. This is in addition to other tax-advantaged retirement funds. With my habitual saving and the financial snapshots I get from my financial planning software, I have total financial peace of mind! Saving money has to be automatic. I like the fact that you transfer 10 percent each time you receive a paycheck or payment. As a consumer if you feel like that is too much, try transferring 5 percent to start out. You need to make paying yourself each paycheck a habit. You will be amazed at how much you can save if you stick to it. Great advice Hicks.